As a small business owner, solopreneur, freelancer or digital creative, burning the candle at both ends is something we’re prone to doing on the regular. Yes, we know it’s bad for our health, our relationships and our overall wellbeing, but when there’s a looming deadline, a never-ending to-do list or an inbox full on unread mail looming over your head, it’s hard to just s-t-o-p. Almost 6 months ago I left my full-time job to pursue my own career as a blogger and freelancer. Just to add some spice to the mix, my hubby and I decided to move overseas, travelling through Spain and Portugal, with a few side trips along the way (because how can one say no to Paris when it’s so close?!?). So, we packed up our house, jumped on a plane and have been on the road ever since. Throughout my time travelling I’ve been thinking a lot about gratitude: why we need to stop and reflect, and how easy it is to start taking the beautiful moments in life for granted. Even as I tap away on my computer from our apartment in northern Spain, it’s so easy to take these special moments for granted: the smell of the neighbour’s cooking wafting through the windows, the sun warming my toes, and how incredibly lucky I am to have the opportunity to work from overseas. It’s time for us busy-beyond-words female entrepreneurs to take pause and add a sprinkling of gratitude to our daily lives. When we’re constantly trying to be more, achieve more, make more money, improve our lives, it’s so easy for stress to take over and for my little friend gratitude to fly out the window. So today I want you to take on a little challenge with me: write in a gratitude journal every day for 2 whole weeks. 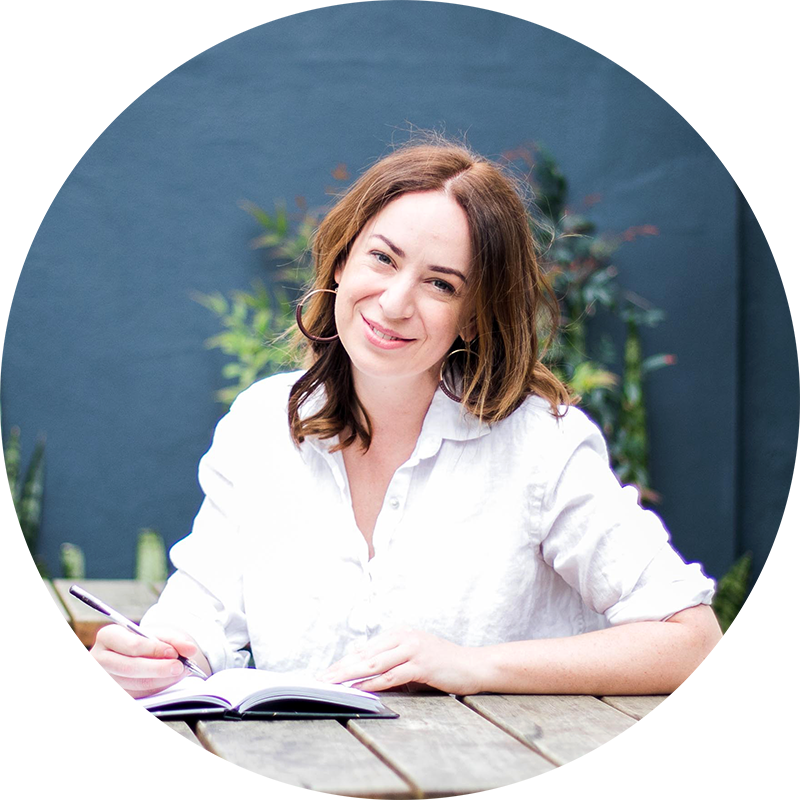 You see, writing in a gratitude journal is all about training your brain to reflect on all of the great things you’re achieving in your life and biz right now, see how beautiful life really is right now, and be happier person all round. Set a daily reminder in your calendar. You just need 5 minutes of alone time to jot down your thoughts. There’s no right or wrong thing to write– it could be absolutely anything: the weather, your creativity, sharing a moment with a friend… anything goes, as long as it brings you joy in your life. When I first started writing my journal I focused on the big (and more obvious) stuff such as my hubby, my family, my friends, etc. However as time went on, my focus switched to smaller things: cooking myself a nourishing lunch, the smile form a stranger on the street, and so on. Write as much as you want. If something falls you full of happiness and gratitude, write write write to your hearts content. After the two weeks is over, I’d love to know how things have changed. Perhaps you make time every day to do something that brings you joy? Do you look for positive moments in every life experience? Has it changed who you spend time with? Or do you feel more content with where you are in life and business? These are all common outcomes from writing a gratitude journal regularly, and I hope that after the 2 weeks you see a positive change in your life. Now the question is: will you stick with it? As always I love to hear from you in the comments, so feel free to drop me a line below. I love how actionable this post is. 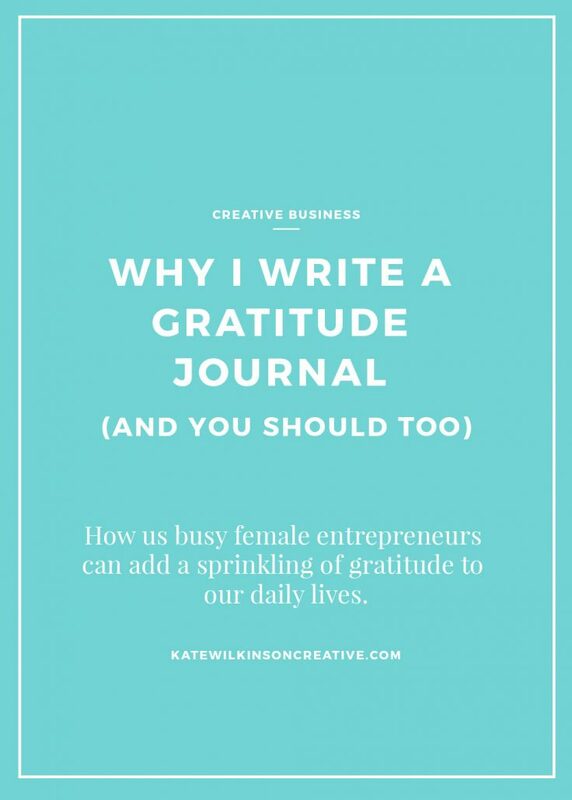 I’m writing a piece on gratitude for my own blog…Do you mind if I link to this article? I’d love you to! And thanks for your kind words, Paige.